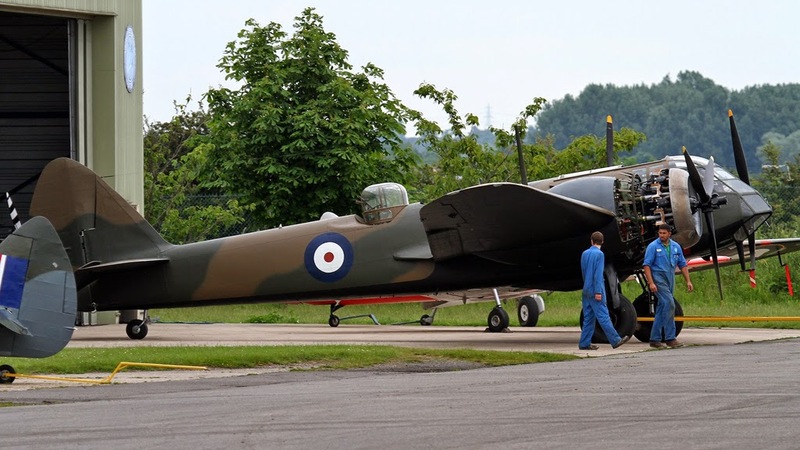 Global Aviation Resource reports that May 30th the Imperial War Museum Duxford the Aircraft Restoration Company’s Bristol Blenheim appeared in public as a complete aircraft for the first time since its long-term rebuild began in the summer of 2003. 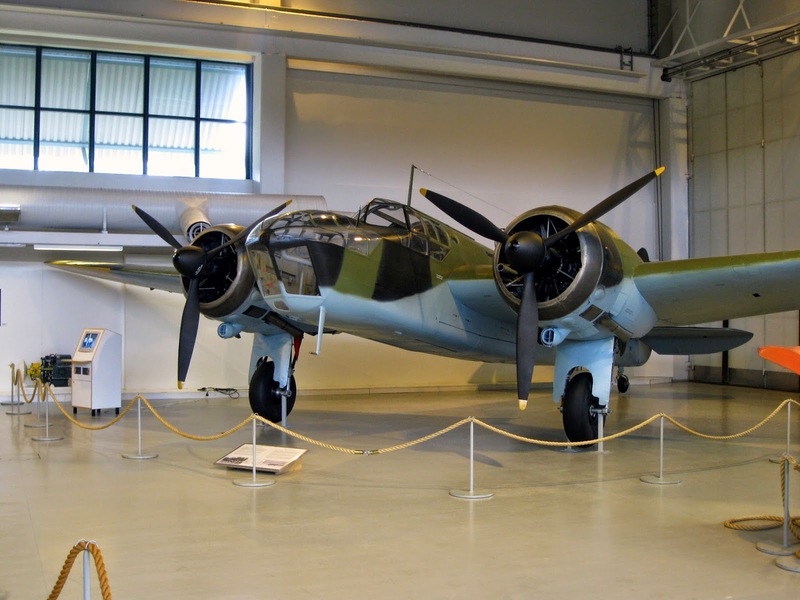 ARCo recovered their first Blenheim from Canada in the 1970s (RCAF serial 10038). The airframe was originally license-built by Fairchild Canada as a Bolingbroke Mk.IVT; essentially a Blenheim Mk.IV with some modifications and North American hardware/instrumentation. ARCo worked on the aircraft for twelve years, restoring her as a Blenheim Mk.IV (registered as G-MKIV). She made her first flight in May 1987, but was involved in a touch-and-go landing accident at Denholm Airfield just a month after and written off, miraculously without loss of life. 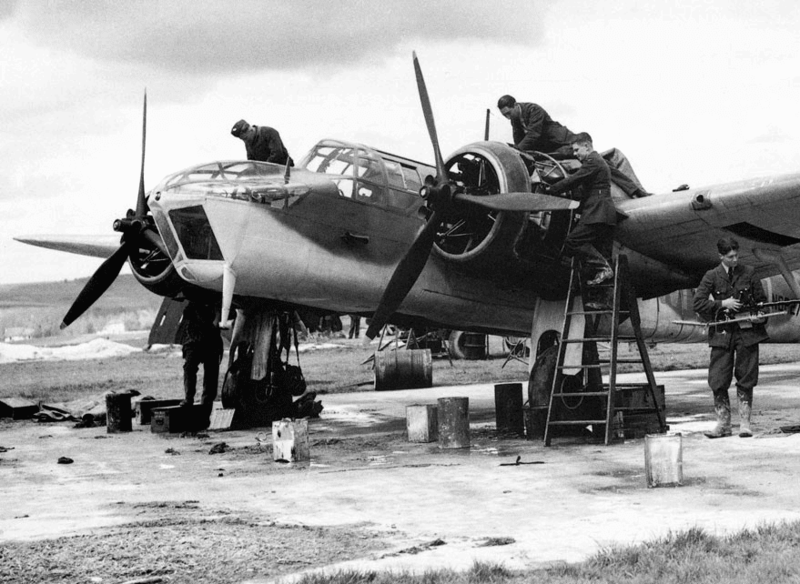 Undeterred, her restoration crew determined to get another Blenheim back in the air. They obtained a further Canadian-built Bolingbroke IV (RCAF 10201), and managed to get her flying again in just five years as G-BPIV; their previous experience helping greatly to speed up the rebuild progress. She flew again in June 1993; the world’s only flying Blenheim was a huge hit on the air show circuit! Unfortunately, the Blenheim crash-landed again in August 2003; this time at Duxford. 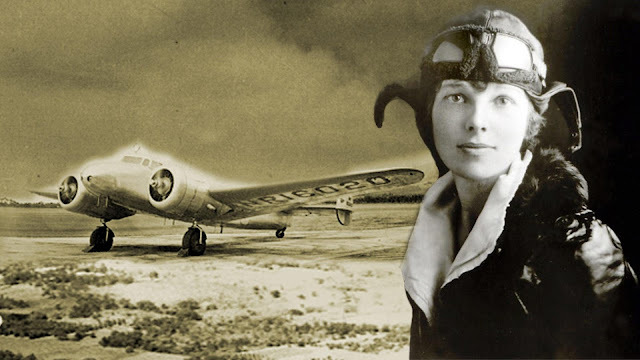 While the aircraft suffered considerable damage, she wasn’t broken beyond repair. The Blenheim’s crew didn’t give up on her and formed a trust to ensure her continued operation in the UK. 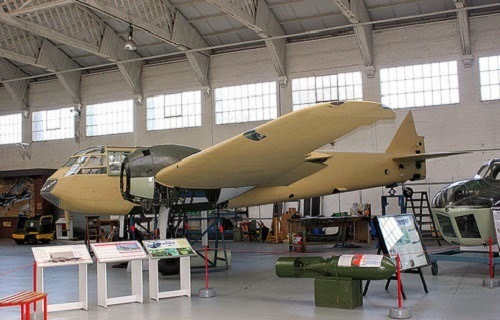 They contracted ARCo to provide two full-time engineers to support the restoration project undertaken by Blenheim Duxford Ltd. (and supported by The Blenheim Society). 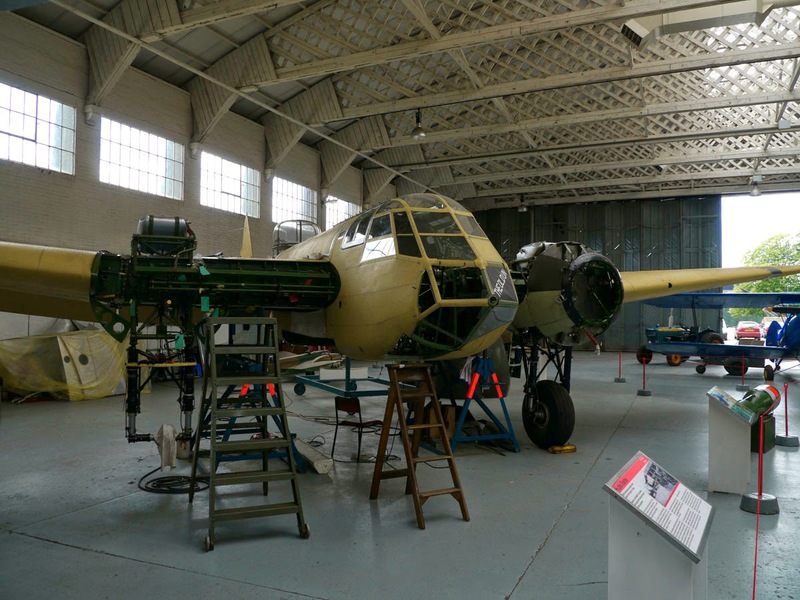 The Blenheim has undergone a thorough rebuild inside Duxford’s Hangar 3, and more recently in ARCo’s workshop. Interestingly, the team has decided to rebuild the aircraft to Mk.I standard. The bulk of the aircraft is nearly identical to a Mk.IV, except for the forward fuselage which is radically different. The Mk.I is essentially extinct (as are British-built Blenheim IVs, with no complete examples known to exist), but a few forward fuselages survive. One of these ended up at Duxford a few decades ago. 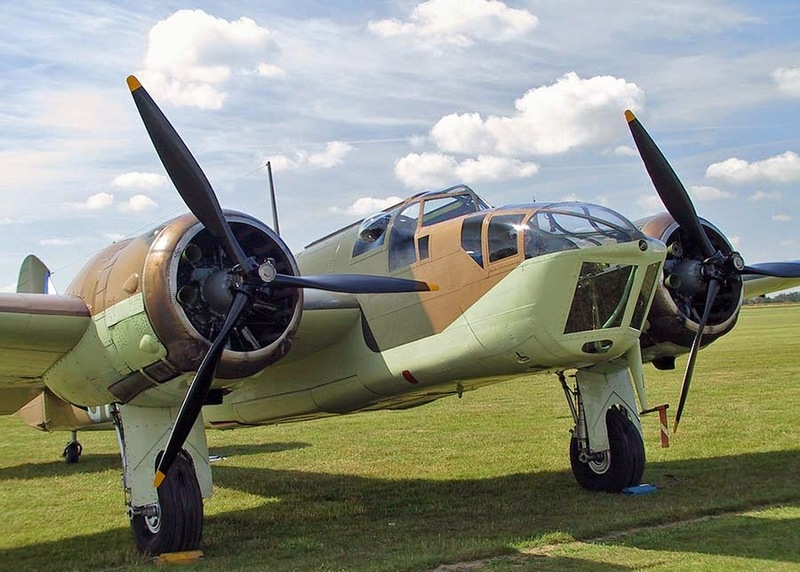 There are currently no Blenheim or Bolingbroke aircraft that are airworthy. One airworthy Blenheim had been rebuilt from a scrapped Bolingbroke over a 12-year period, only to crash at an airshow at Denham within a month of completion in 1987. 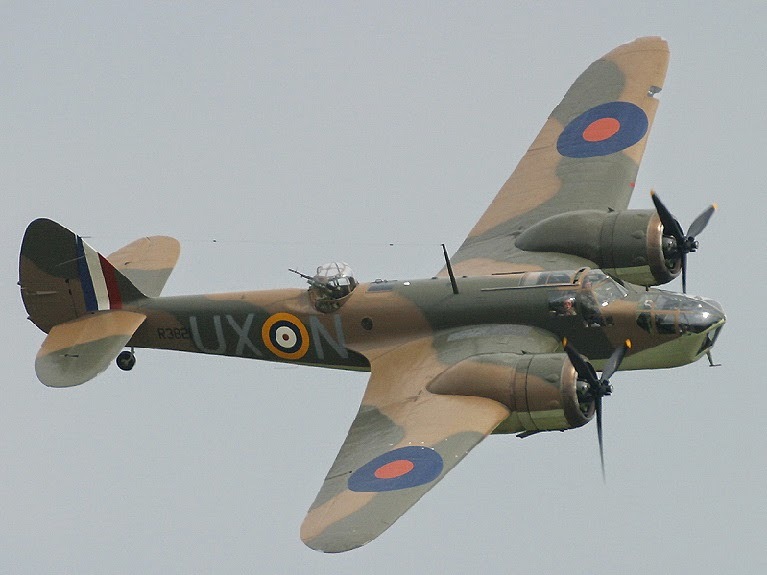 A replacement Bolingbroke Mk IVT was rebuilt to flying status in just five years and painted to represent a Blenheim Mk IV in RAF wartime service. It began appearing at air shows and exhibitions in the UK, flying since May 1993 and was used in the 1995 film version of Shakespeare's Richard III. This aircraft crashed on landing at Duxford on 19 August 2003; the crash was feared to have made it a write-off, but it is presently undergoing an extensive repair and conversion to the Mark I "Short nose" version by The Aircraft Restoration Company (ARC or ARCo) at Duxford, most of the work being done by volunteers. Funds are raised through donations and also by The Blenheim Society who run a Grand Flying Draw among many other activities. The aircraft is currently in the Aircraft Restoration Company hangar at Duxford and is the property of Blenheim (Duxford) Ltd.